Whether you are a professional or a collegian, keeping clean shaved or trimmed cut is basic style of most men. Many people use disposable razors which can be expensive and difficult for the delicate skin. The electric shavers are suitable for all types of skins and it is comparatively cost effective than the disposable razors. All men and women can also use the electric shaver to clean arms, legs, underarms, etc. You can find a wide range of electric shaver from all major online stores and brands on DealsCorner. Most people think that the electric shavers are expensive compared to the disposable razors, but, if compared to the cost of shaving in a salon or with disposable razors in a period of time is costlier than the electric shaver. With electric shaver you can not only save money but also save time. While buying an electric shaver most people are confused about what features to look for and which types of electric shavers are available. So before buying the electric shaver review all the features and models available in the market, compare the prices and then make your choice. There are mainly two types of electric shavers like rotary shavers and foil shavers. The rotary shavers clean the skin more precisely, especially the contours of the skin, compared to the foil shavers. 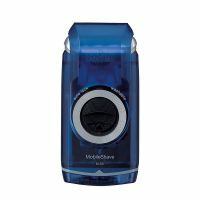 The bladeds used in the rotary shavers uses circular blades and motors used are quite and effective to handle long hairs. For people who do not every day can look for the rotary shavers. In the foil shavers, many models have three to four oscillating blades which helps in shaving faster and efficiently. Due to its loud motor sound and difficulty in shaving long hairs, it is less popular compared to the rotary shaver. You can find different types of models and brands offering men and women electric shaver. There are lot many benefits than saving time, an electric shaver comes with convenient grips, noiseless motors, and easily shaves the curvy portions of the skin as well. With electric shaver, you do not have to invest in gel, razors or shaving creams. The blades used in the electric shaver lasts longer the disposable blades. With disposable razors you have the risk of getting cut, rash or burn, but the electric shaver does not remove the layers of skin. Most of the electric shaver models are compact and trendy which are easy to carry and use. Comparatively women use electric shavers to clean larger areas of skin compared to men. The electric shaver models available for women are more comfortable and gives close shave. With electric shaver men and women can easily remove unwanted hairs effectively and painlessly. 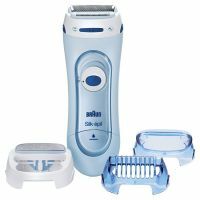 You can find a wide range of electric shaver from famous stores and brands like Philips, Braun, Remington, Kemei, Wahl, Hitachi, Nova, Croma and many more on DealsCorner. With the facilities available on DealsCorner, you can compare the prices offered by various stores and then choose the product of your interest. Enjoy your shopping, sitting at home and get the product delivered at your doorstep in most of all models.